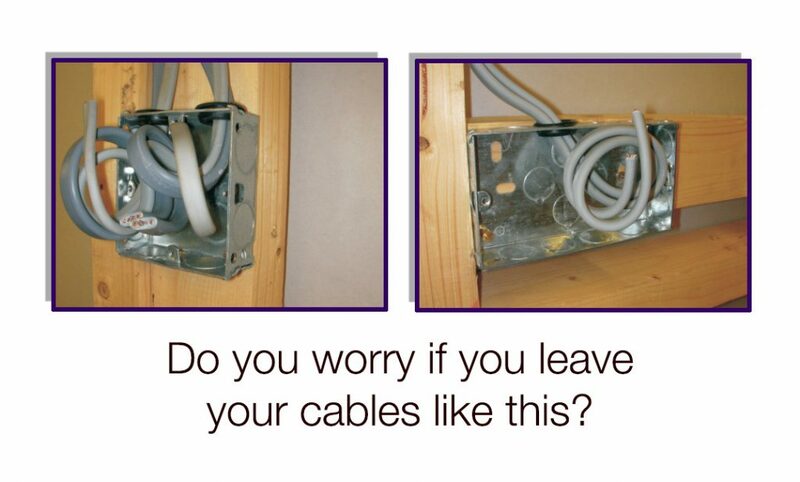 Would you like to walk away knowing your installation is safe overnight or even over the weekend? Do you wire new build properties? Are you sick of plasterers cutting your cables? Are you sick of losing your work due to careless boarders/plasterers? Are you sick of painters ruining your markings when they fill your back boxes with paint? 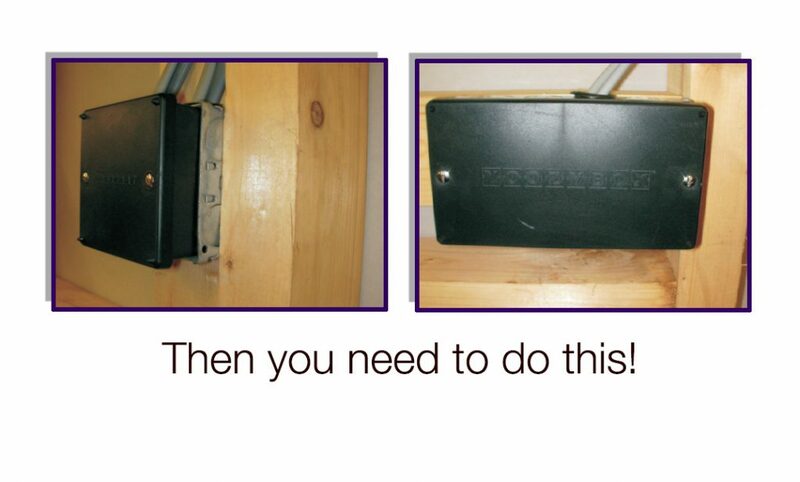 Are you sick of going to do a second fix someone else has done and can not identify the marks on the cables? 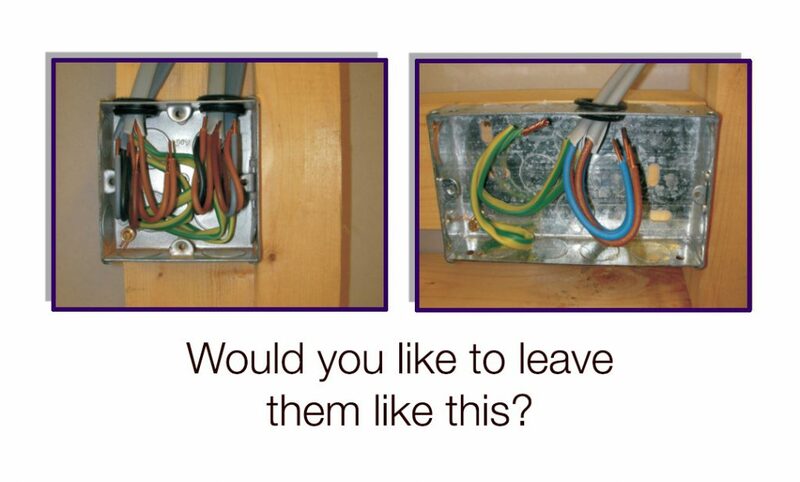 Would you like to first fix your property and walk away knowing that when you or your mate gets back? 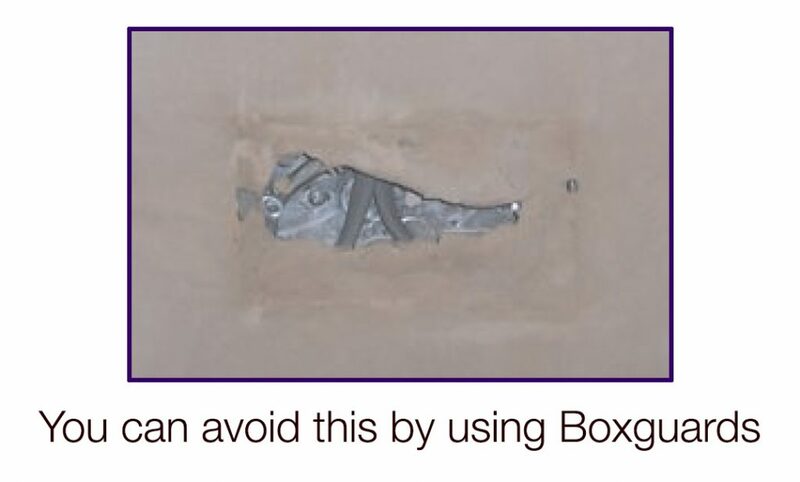 Our Boxguards have small handy spikes on each corner. 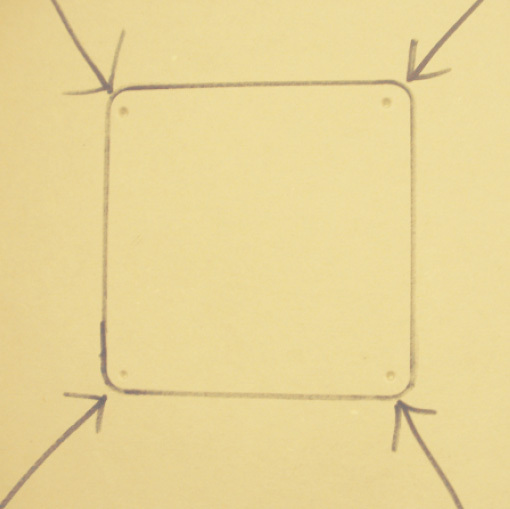 Simply press your plasterboard onto the spikes and a small imprint is left. Cut around the imprints and push your board back. – Simple! Why spend hours searching for hidden boxes ? Why spend ages going round chipping plaster out of boxes? When you find them are the cables usually a lot shorter than when you left them? Why stand there scratching you head wondering what your mate’s been up to with the wiring? Why start belling cables out finding out what goes where? Add these 2 numbers up - 1 + 2?